Caitlin is an Associate in the Birmingham office where she practices in the firm's Financial Services Litigation group. Caitlin attended the University of Alabama for both her undergraduate and legal education. 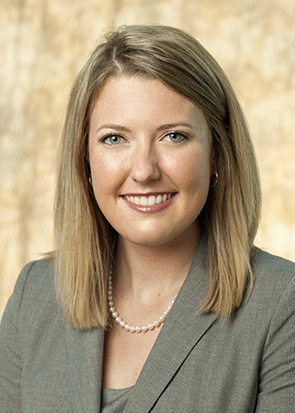 While in law school, Caitlin was a Managing Board Member for the Alabama Law Review. She was also a member of the John A. Cambell Moot Court Board and participated as a team member on the American Bar Association National Moot Court Team. Prior to attending law school, Caitlin taught Pre-Kindergarten in New Orleans as a member of Teach for America. Caitlin received a Bachelor of Arts degree in History and Journalism as a member of the University Honors College. While in college, she was a student Fellow in the Blackburn Institute and created a short film through the school’s Documenting Justice Program. The film was screened at Sidewalk Film Festival.